BRAND NEW FOR THE 2016 MX-5! 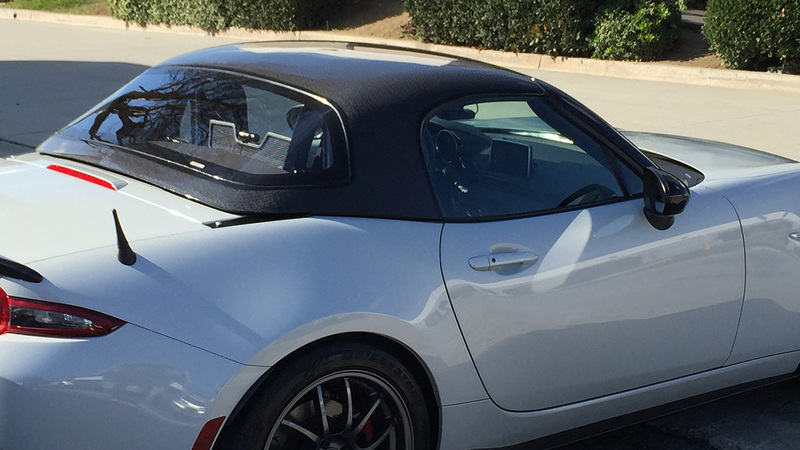 We are now taking orders for the CARBON FIBER STREET VERSION of this hardtop. If you want the RACING version (designed for roll cages), please see 50-65-8100. - REAL carbon fiber, light weight hardtop. Finished with a protective clear coat. 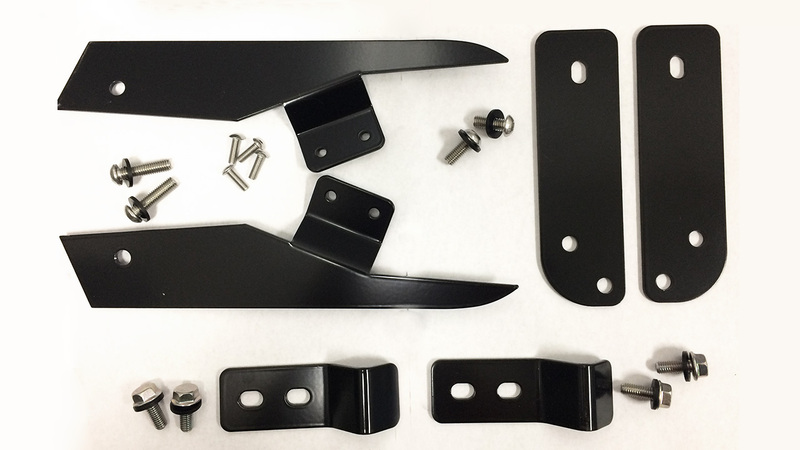 - Mounting brackets included - front, side and rear. - Mounts without removing soft top. NOTE: This model is called a "street" model because it comes with weatherproofing seals and a molded rear window. It is not, however, a factory hardtop. First of all, it weighs less than half of a factory top - this makes it super easy to put on and take off, but does not keep out the road noise quite as well as one twice its weight. The mounting brackets are custom made for the top, and the window seals, although effective, are not molded to the window like those in a factory top. The molded rear window looks great and is weather-proof, however it is not glass, and does not have a defrosting option. Bottom line - this is a very nice top, easy to install, and looks great - but it is not a factory top, and will not provide exactly the same the comfort/noise reduction that a factory top will. This hardtop ships via freight carrier and you need to provide a COMMERCIAL ADDRESS for shipping or you will incur an additional charge for residential delivery. Please allow 7-10 business days for your top to be built and shipped.